With this LG GC-B247SLUV side by side door refrigerator, this fridges meets the intelligence with its freshness together with the inverter function to maintain the ideal cooling and avoid energy wastage. 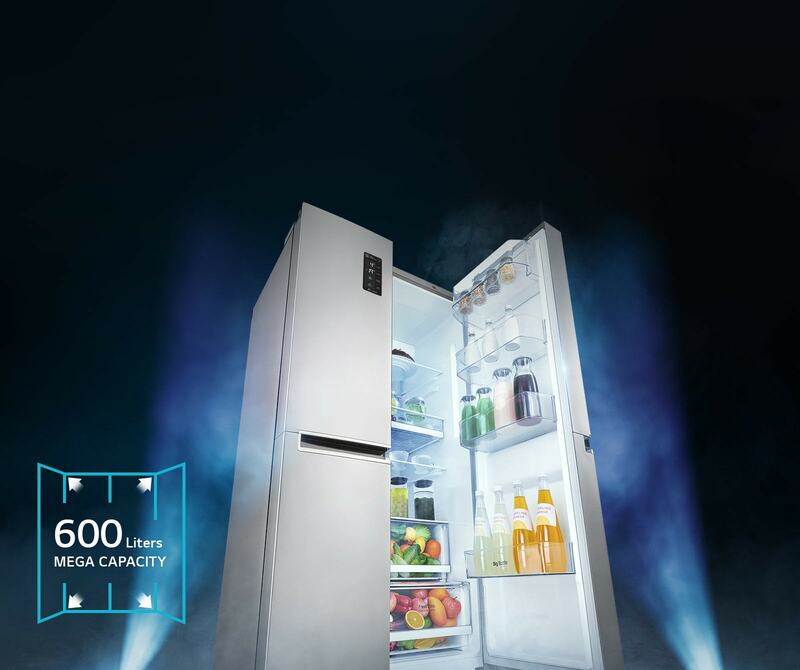 With 600 liters of mega capacity, you can enjoy better organization and smarter storage. Stock up on and store everything you need. 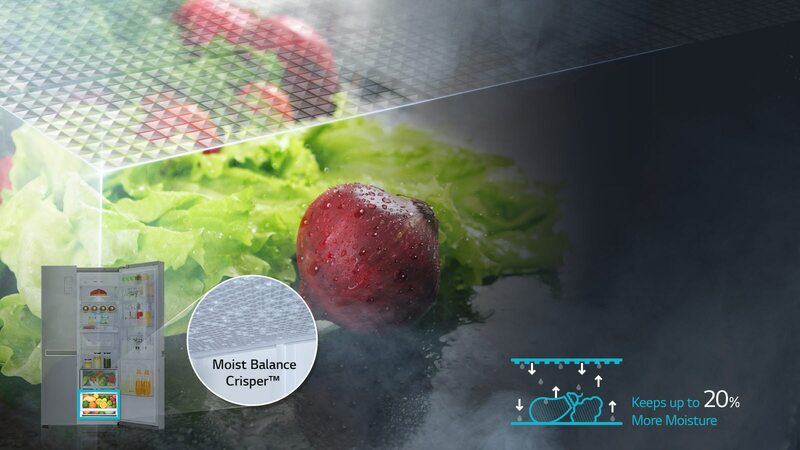 Excess moisture from food evaporates and then condenses on the lattice instead of puddling around your food, thus maintaining the right balance of moisture in the box. LG's unique Inverter Linear Compressor uses a linear piston drive instead of a conventional reciprocating drive. This generates less internal friction, resulting in up to 32 lower energy consumption. LG's Multi Air Flow ensures even cooling throughout the refrigerator using the multi flow air vents located all over the refrigerator. Thus helps in keeping the food fresh & healthy.